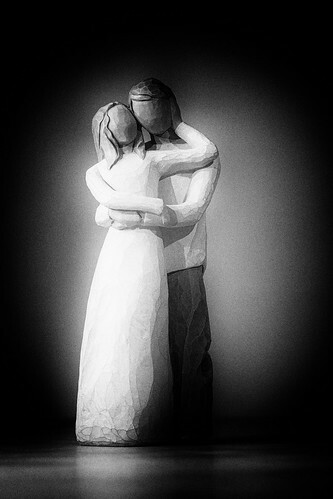 This is a wooden, carved couple. It was a wedding present. After I saw the picture first, I immediately knew that it had to be black and white.